The Nordic nRF Connect app (formerly known as nRF Master Control Panel) allows you to manipulate beacons directly at the Bluetooth GATT Service/Characteristic level. It works with all beacons, not just those containing Nordic SoCs. There’s also a version for iOS. The app is particularly good at recognising known Bluetooth profiles and giving them useful human descriptions rather than leaving the Bluetooth Services as numbers. 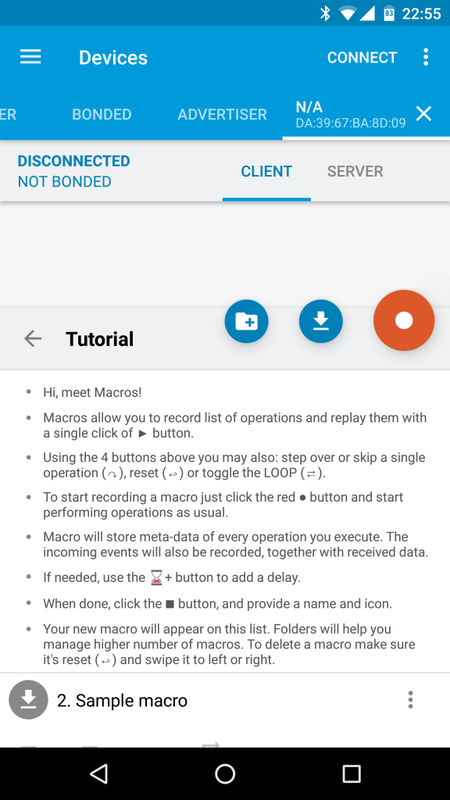 This means that if you are configuring lots of beacons, it’s now much less tedious, quicker and less error prone if you record and replay a macro setting all your desired Service/Characteristic settings.